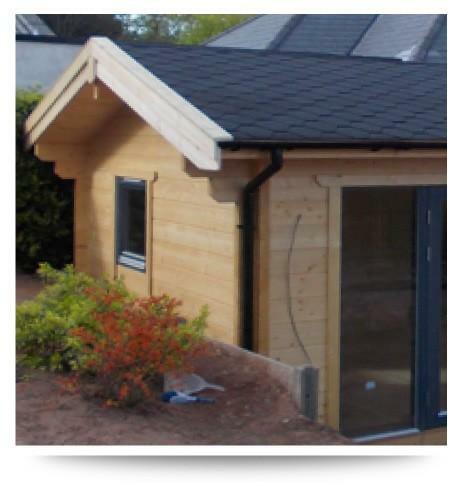 Once your log cabin or timber building has been installed, very little maintenance will actually need to be done. 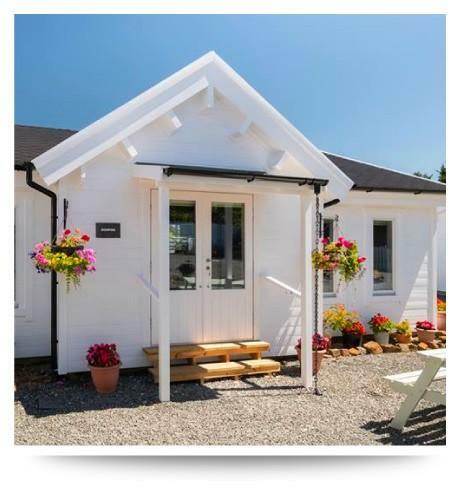 When it is first built, you should treat the inside and the outside with a high quality wood stain, and usually, only the area’s most affected by the weather should need retouching – fascia boards or overhangs where the rain runs off, for example. If the stain begins to look faded, this is a good indication that another coat is required. 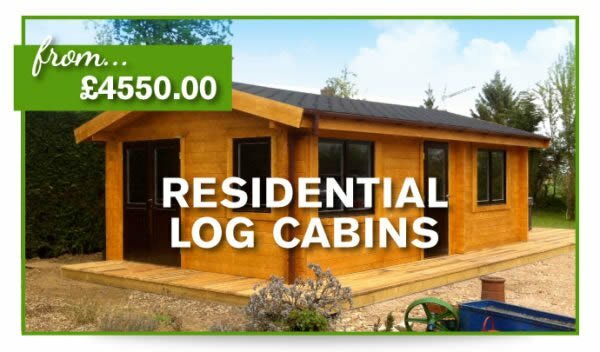 Log cabins are usually built from kiln-dried logs, this is because mature trees have moisture in them, and once they have been chopped their moisture level will drop to equate to the surrounding environment. This can take many years if left to occur naturally, but kiln-drying the logs speeds up this process. 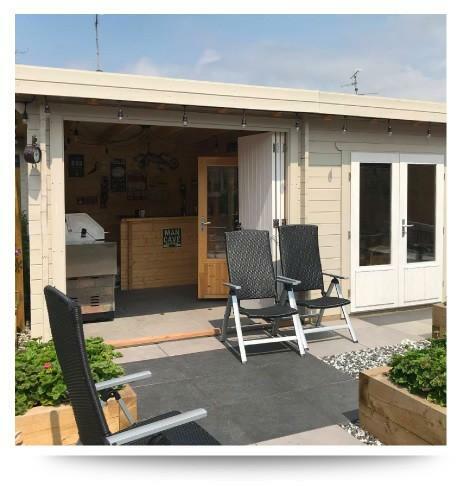 As they dry, the logs shrink slightly – most of the shrinkage actually happens before manufacture, but once the cabin has been installed, a further amount of shrinkage is likely to occur as the logs acclimatise to their location. 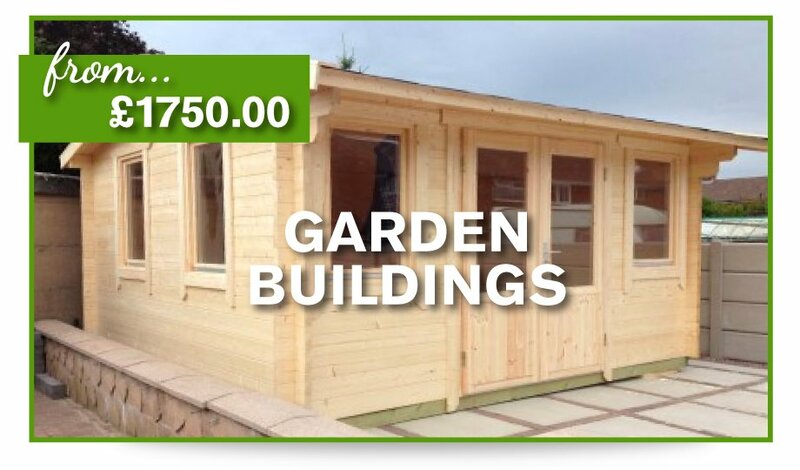 As wood is a natural product, it is natural you may notice small splits and cracks in some of the logs, this is due to the thickness of the wood, this will not harm your log cabins structure. As the logs shrink a little, settlement will occur in your log cabin, which will cause the walls to lower, sometimes as much as a couple of inches. 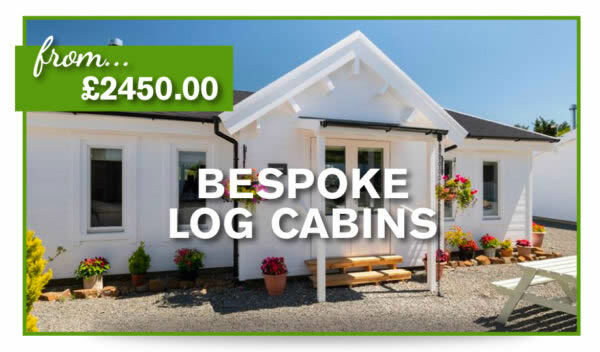 This is a natural occurrence, and log cabins are designed with this in mind, allowing individual logs to settle without affecting the finished result. 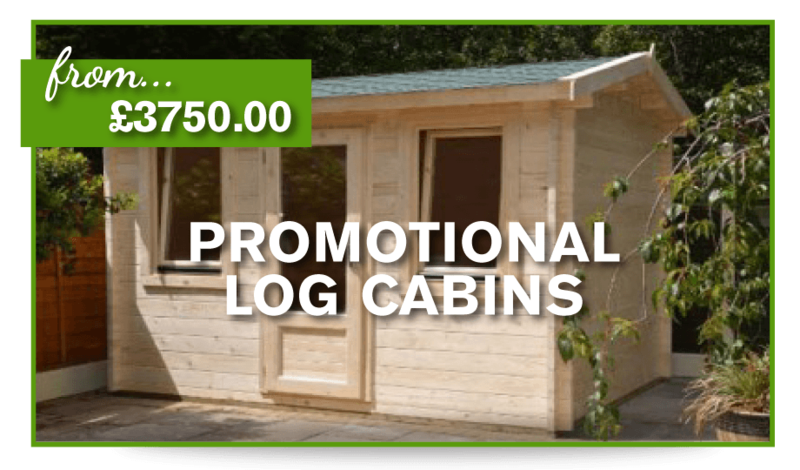 It is universally recommended to treat your log cabin with a good quality wood preservative, to help prevent decay and rot. 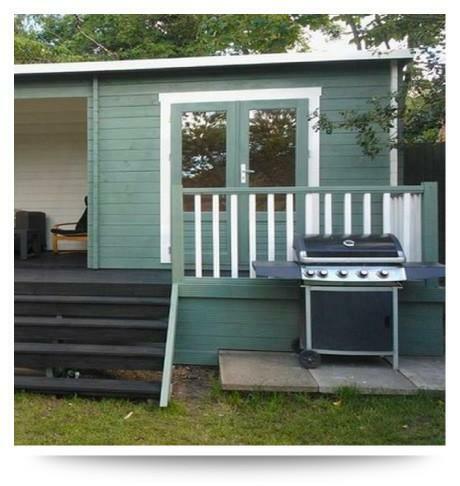 As an additional suggestion, you should retreat your cabin yearly with an exterior varnish or wood stain, as UV rays are deceptively damaging. 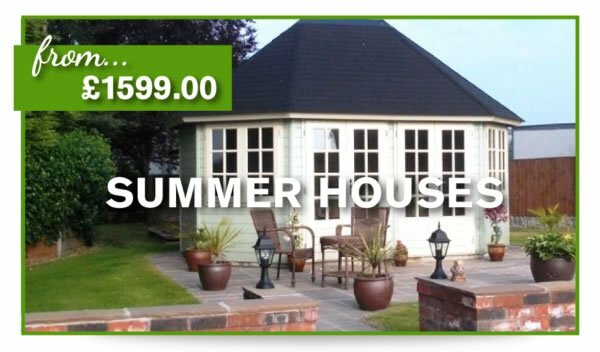 • It’s a good idea to keep plants and trees away from the perimeter edges of your log cabin – they can prevent the sun and air circulation from drying out any moisture; a foot of space between the cabin and foliage is a good benchmark. You should either trim these plants back or consider replanting them elsewhere. • To check whether your logs need retreating, spray a bit of water on a section of your log cabin; if the water beads and rolls down, this is an indication you’re ok for another year. If the water starts to soak in, it’s a good time to consider a new coat of treatment. Be sure to check any log ends, as the cut end grain will be where most moisture is absorbed. 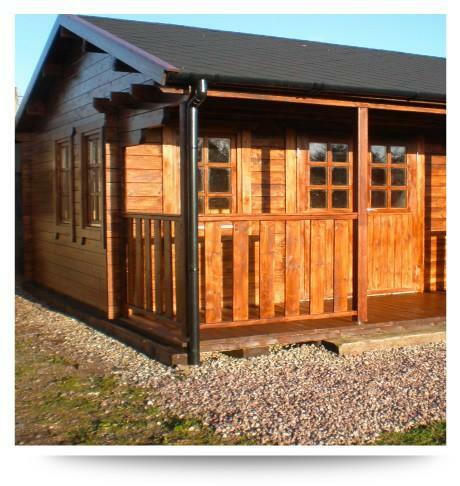 • Moisture control and damp management are key factors in increasing the longevity of your log cabin. Guttering is a great investment, if you have guttering already, be sure to check it regularly for any obstructions, such as leaves. • It’s a good idea to make sure any soil or earth around the log cabin isn’t too close to the base. A minimum of 2” from the base will reduce rain splashing back onto the logs. 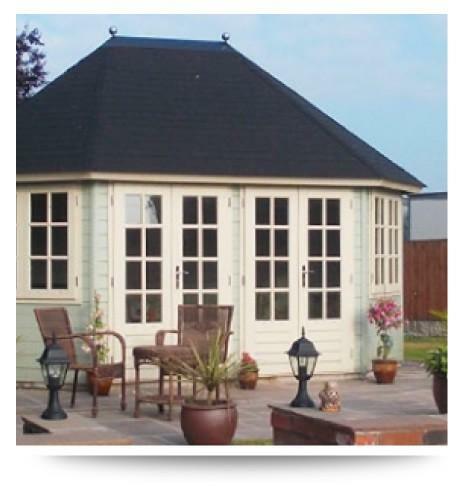 • Minor adjustments may need to be made to the doors from time to time due to the ‘swelling’ nature of the wood. This will most likely need to be done near the changing of the seasons because there is more moisture in the air during the colder months and less during the summer months. The chances are the company that supplies your cabin will install adjustable hinges, making this a simple task. 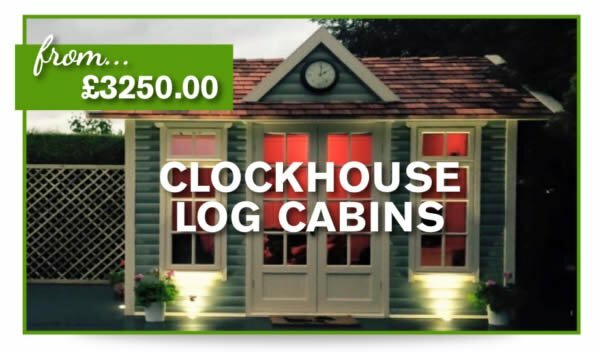 With a small amount of effort, and regular checking and maintenance, you can ensure that your log cabin will last a lifetime – and longer.